Simply Spectacular Smiles Thank you for visiting the website of Weddle Orthodontics, the office of Dr. Larry T. Weddle, a respected orthodontist in Westminster, Colorado. Our mission is to provide the highest level of clinical orthodontic and dental care and individualized service to ensure that our patients have a satisfying experience! Ready To Get Rewarded For Being A Great Patient? Because of today’s technology, people of all ages are receiving orthodontic treatment, including adults. We provide a variety of options suitable for adult patients, including nearly invisible ones. Though metal braces are still the most common type of braces, choices like Ceramic and Invisalign can also provide a beautiful, healthy smile and are much more discreet. Invisalign® Teen is custom designed for the specific needs of teenagers. No more embarrassing, conspicuous metal braces. The clear, removable aligners will allow you to straighten your teeth and build your self-confidence. 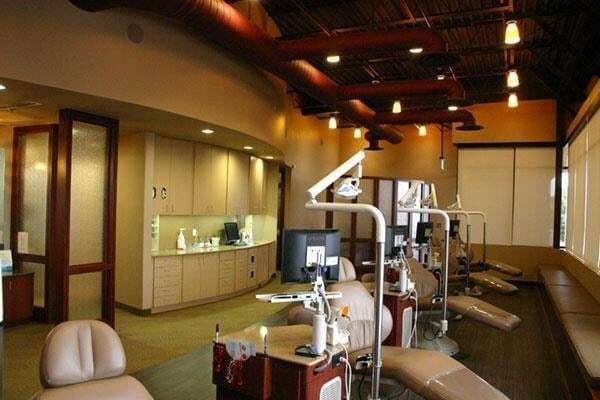 One of our main priorities is making sure all of our patients feel comfortable and welcomed when visiting our Westminster, Colorado office. Our front desk staff will greet you with a friendly smile when you arrive, and our treatment team members will thoroughly explain everything that’s happening during your appointment. If you are a new patient or simply considering our office for your treatment, take a virtual tour to get better acquainted with us! 5280 Top Orthodontist Since 2008! 5280 stories, like “Denver’s Top Doctors,” quickly became the focus of discussions at cocktail parties and water coolers all over town, not to mention frequent coverage in other area media. Today’s 5280 has more readers than any local magazine in Colorado! In fact, in Denver, 5280 outsells most national publications, with a readership that exceeds such well-known national magazines as Time, People, Oprah, and Martha Stewart Living. Let’s Start YOUR NEW SMILE Say Hello! Fill out the short form and let us know what questions you have and if there are specific days and times that work best for you.